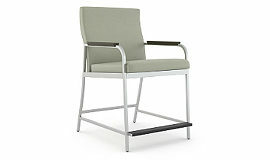 BOLD Office Solutions offers furniture options that are compliant with all of the necessary metrics and standards to work in your healthcare environment. 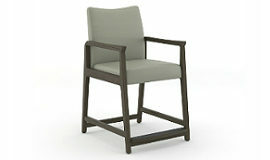 As a Kimball Select Dealer we are proud to offer the full line of products from Kimball Health. Kimball Health is focused on better outcomes for patients, their families, the staff that heals them and the environments surrounding them. 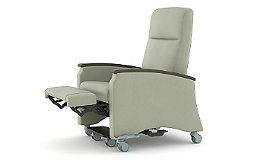 Meadow Meadow is a comprehensive, full function patient recliner designed to fit all patient body types and sizes. 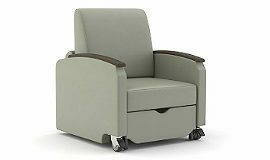 Shore Shore’s multipurpose function provides a lounge chair for patient and guest, and easily converts to a sleeper for overnight guest stay. Villa Health Villa is scaled and engineered for high traffic lobby and lounge areas. Built-in power, USB connectivity, and clean out detail. 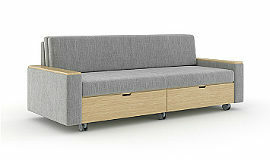 Villa Sleep Sofa This sofa is the perfect sleepover solution for family and guests. 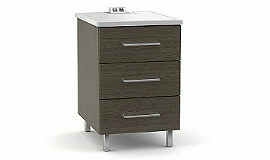 A spring seat, fold back cushion & optional drawer front for storage. 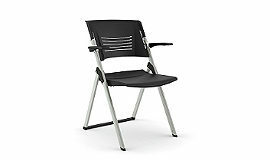 Alpine Durable square tube steel frame supports patients and visitors for years with built in contoured backs for comfort and support. Spruce Wall-saver design allows for maximum use of space in a minimum footprint while an accessible clean-out provides easy care and maintenance. 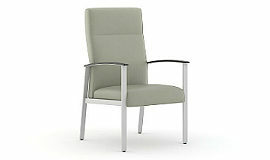 Sycamore Patient, motion patient, bariatric and hip chair round out the family of seating. 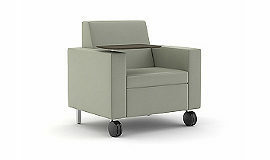 Tucker Tucker’s efficiency in single or tandem configurations makes it a smart addition for any interior environment. 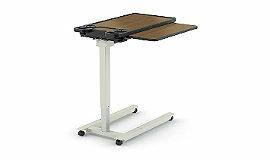 Overbed Tables Multiple options and finishes with easy-glide tops, smooth finger-tip controls and low profile fork base for patient comfort and security. 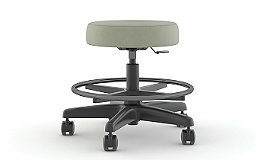 Physician Exam Stool A classic stool for physicians and caregivers in exam and treatment areas. This mobile stool provides 4½” of height adjustment. Sanctuary Solid, well-crafted patient room casegoods. The versatile design menu of shapes, materials, base & feet options, & pull styles provide easy solutions. 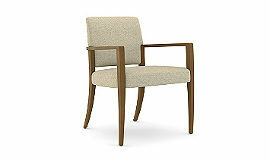 Wren Innate strength durably supports additional seating in waiting, lounge & dining areas when needed. It folds & stores on the wall.